name 5 things. : Trips to Austin. Two out of the past three weekends we have headed up to Austin. Our first trip was for Sawyer's first birthday party! On the way to Austin that trip, we stopped off in Lockhart for two things: (1) Barbecue at Kruez Market (one of the top 5 places in Texas for BBQ); and (2) a little antique shopping. I ended up scoring one of my favorite finds ever -- here's a not-so-subtle hint. It's so swoon-worthy, it deserves its own post! We went back to Austin last weekend for a friend's wedding. The wedding was early in the day on Saturday, which left us the rest of the weekend to enjoy a city that we love so much (and to try out some great eats too). 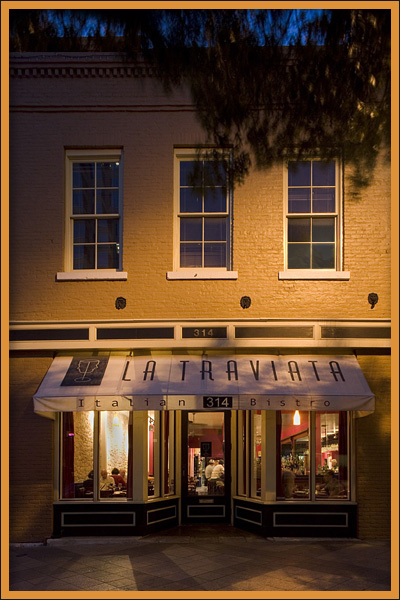 We went to dinner at La Traviata, which was wonderful. It was such a nice night, so we took a stroll down to the Capitol after dinner. Of course, the Capitol itself is amazing, but it's also special to us because we got engaged there. Justin proposed right by the rose garden (over 8 years ago). After our romatical (yep, that's a word) walk around the Capitol, we were in the mood for something sweet. Actually, I was the one craving dessert, and Justin knows it's better just to go along with it rather than fight it. So he was up for getting something too. After some quick searching for the best place, we ended up at Gourdough's. I'm almost too embarrassed to admit that they serve massive donuts loaded up with more super unhealthy things like icing, bacon, brownie batter, cake batter, candy, etc. (not all on the same donut though -- please, let's not get carried away here). Check out their menu. The next morning, we walked around UT's campus and enjoyed the beautiful weather. It was so fun to cruise around and reminisce with Justin (and to see all of the changes around campus). After our campus tour, we stopped by Uncommon Objects, which is a pretty amazing vintage store. I could've spent hours in there browsing around, but I knew Justin had cookies on his mind. . . . When we were in college, we ordered tasty chocolate chip cookies from Tiff's Treats, a place that would deliver warm freshly-baked cookies to your door (with milk too), which is nothing short of heavenly when you live in a dorm room. So before we headed home, we stopped by to enjoy them for old times' sake. We've been having beautiful weather here! Hope you have too. I'll be back with my fab find! What a great weekend! The cookies sound so yummy, and how fun they deliver to the university!! I would love to visit Austin someday. Love trips to Austin! Have you ever been to Trudy's? We were just in Brenham and I couldn't believe the wildflowers aren't out this year! It doesn't get better than this! A whole weekend of romantic walks, sweets and shopping sounds like pure bliss to me. Cookies delivered! Sounds good to me:) It's been a while since I visited my university town.. you've inspired me to head back for a visit! You are just going to leave us hanging??? Okay, i would've done the same thing...especially after such a nice and relaxing weekend! Sounds so perfect! Especially before it gets miserably hot and muggy! (c: Have a great week and I can't wait to see the bar cart!!! Fun! Looks like a great trip. And wow that capital building is amazing! How sweet that he proposed there! great pictures!! love austin - such a fun city. I have never been but have always heard amazing things. What a fun trip. I've never been to Austin so this is a great tour for me. Cookies delivered? What on earth. That is awesome. So jealous!! We are hoping to go this summer! Love your photos! Just found your blog! I live in Austin and love it here! Glad you had such a wonderful weekend! Wow- I didn't realize y'all had been married so long! That's great! Austin sure is a fun town- I can't wait to see your new bar cart! Love Austin. Gourdoughs-yum-been wanting to try their donuts for so long. next time, for sure. We were married in Austin; quite a feat since I married a sooner!